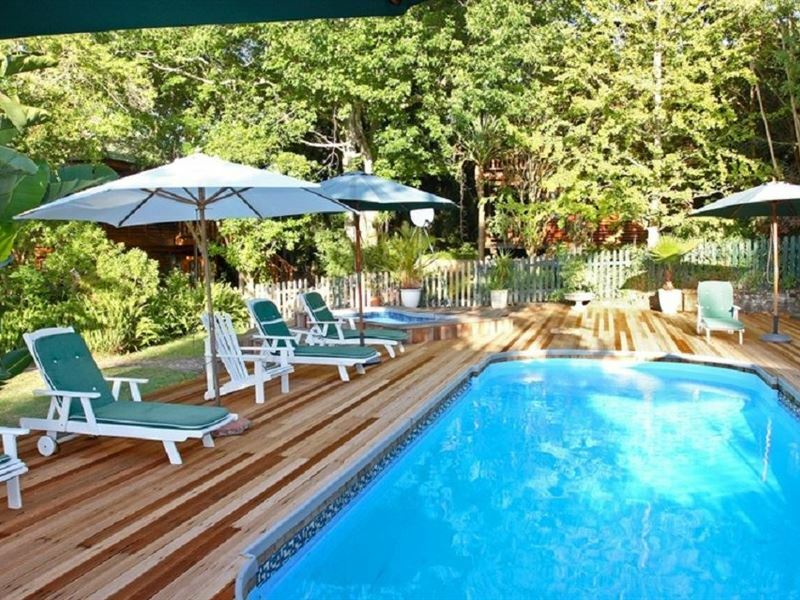 Knysna River Club is situated along the stunning Garden Route, in Knysna. 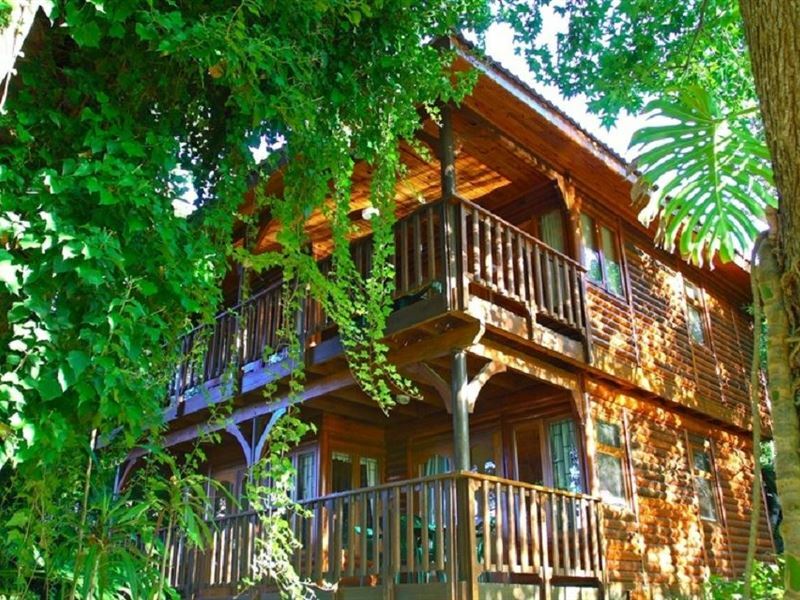 The River Club lagoon chalets offer spectacular views and are airy, spacious and comfortably appointed. 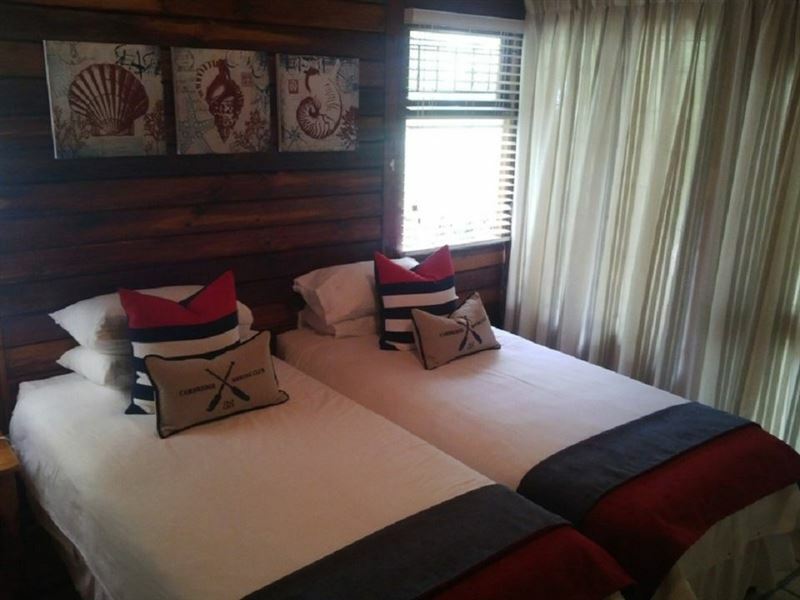 Accommodation ranges from one bedroom, two bedroom and inter leading chalets. Each of which can accommodate two extra guests on a double sleeper couch in the lounge. 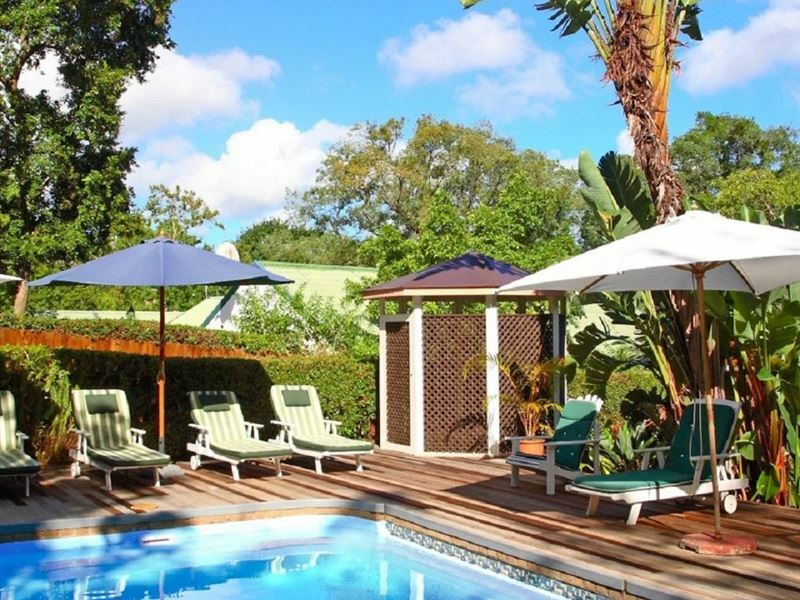 The resort is surrounded by shady trees, well-tended gardens and offers security, privacy and comfort to the guests. 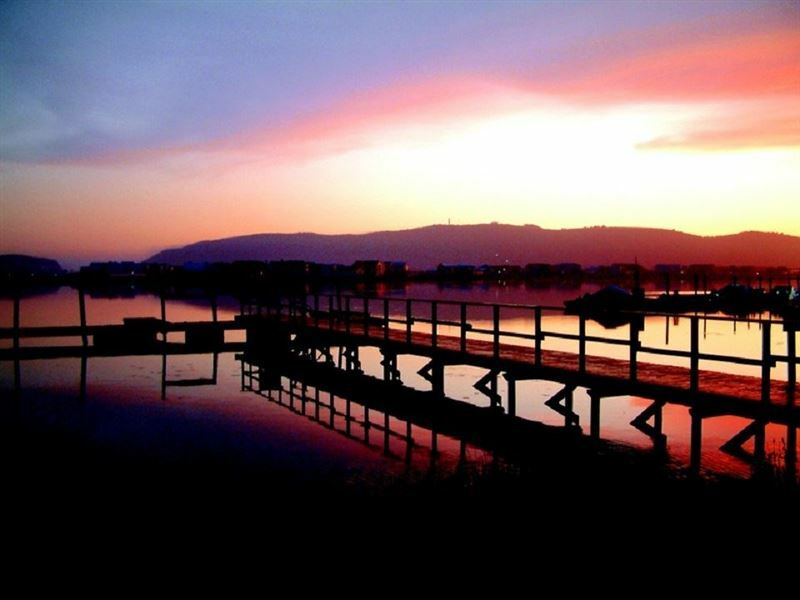 Nestled on the banks of a breath-taking lagoon, Knysna is a natural utopia. 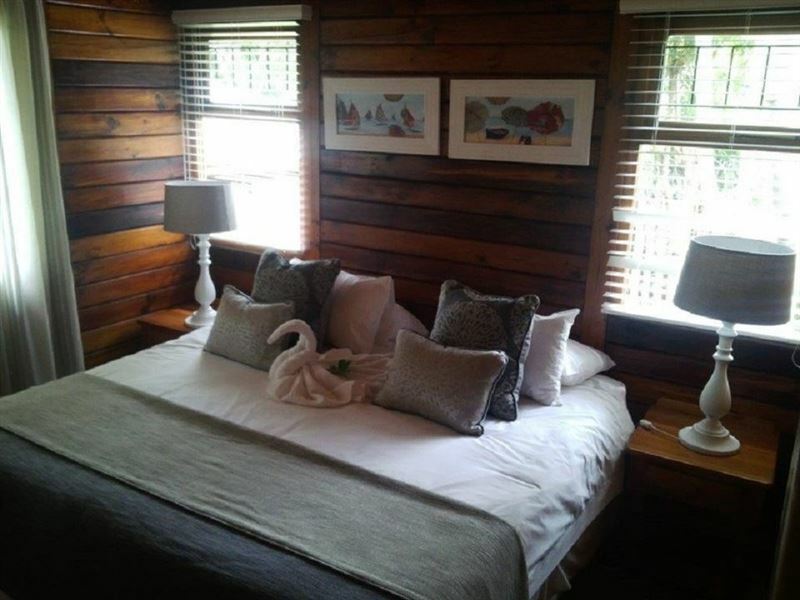 Along with the many great boutiques, eateries and the festive Knysna Oyster Festival, attractions in the area include the Featherbed Nature Reserve, the Knysna Elephant Park and the out-standing Knysna Heads. I just visited a relatives who were staying there. From what I saw, the accommodation was clean and neat. It has all the facilities you would need to have an enjoyable stay. Unit 1 to 4 on the waterfront. Good accommodation and cozy pub. Very basic menu, friendly personnel and good coffee. Well managed resort and highly recommended. Nice and clean. Friendly staff always willing to help. Quiet, spacious, friendly staff, well supplied neat units. Shop nearby, for even cooked meals as well. Lovely environment, trees and birds and view. I would love to live in one of those units!! Excellent holiday place. Venue and service outstanding. All staff friendly and helpful. Restuarant excellent food.Will definitely be back. 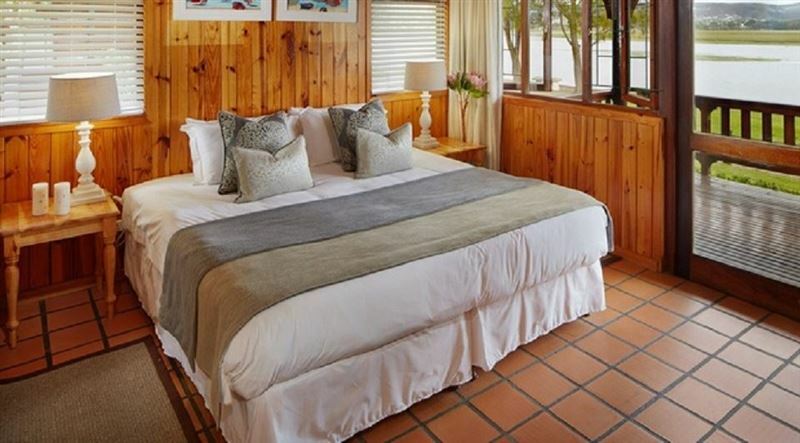 Situated right on the Knysna lagoon. It's great here. Perfect for fishing and pumping prawns for bait. You can appreciate the Beautiful sunrises and sunsets from here. Situated at the end of the main town. Beautiful views of the Knysna heads. I arrived yesterday to a warm and friendly , efficient service at reception.Although we arrived two hours earlier as a result of the long drive,we were comfortable during the waiting,with a few activities around to beat up time.Had one way sleep at night. Everything you need is here. Spacious, gets cleaned daily. Friendly service. I love the idea of being so close to the water and you can either run or cycle all along the lagoon. The Waterfront is not even 5 minutes walk along the lagoon. Very relaxed atmosphere. We had a lovely stay. The chalet was very spacious and was arranged very effectively. 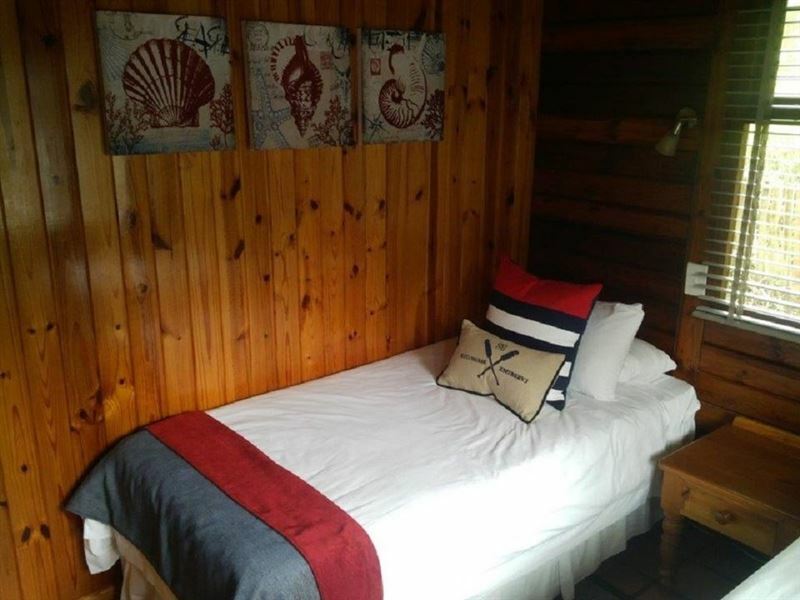 The decor suited the chalet perfectly. The kitchen was fully equipped and the bathrooms were quite spacious. There is plenty to do on the premises. There is also a 5km walking route from the resort to the Knysna East Head which was beautiful.The daily cleaning services made the stay extra enjoyable! The receptionists were very helpful in advising us on what to do in the area. Excellent Holiday DestinationMy wife and I spent an excellent week there. They have all the facilities that you need. The boats were a bit of a disaster though. Many broken.I will go back again if the opportunity arises.Accommodation was very comfortable. Request a quote from Knysna River Club at no obligation.